The equivalent of Shu and is therefore the Plasmasphere. 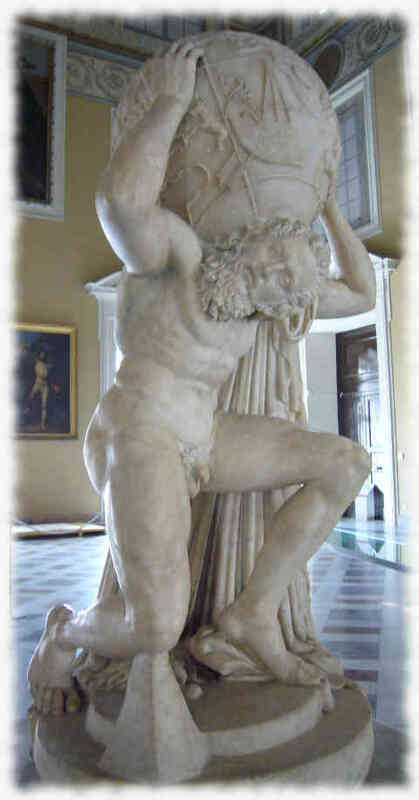 The Greeks associated Shu with Atlas, the primordial Titan who held up the celestial spheres. Condemned to hold up the sky for eternity. He personified the quality of endurance. He was said to have been appointed guardian of the pillars which held Gaia and Uranus apart.